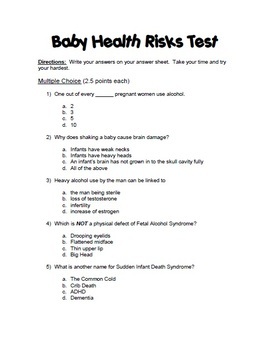 This Baby Health Risks Test & Review goes with the Sudden Infant Death Syndrome, Shaken Baby Syndrome and Fetal Alcohol Syndrome units that I have listed. It is meant to be used in a high school family and consumer science child development class. 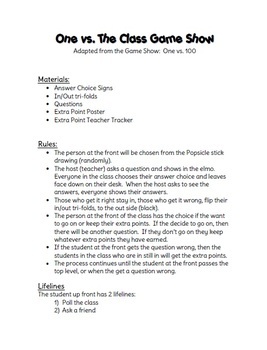 The review includes review sheets of each of the health risks, and a review game with instructions. 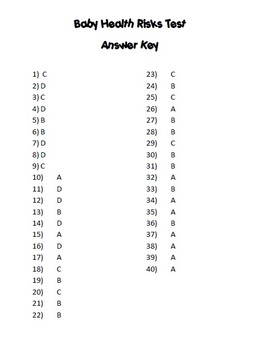 The test includes the test, answer document and answer key. The test is forty questions and includes multiple choice, matching and true/false questions.